What President Obama says about the future of education in the U.S.
On Tuesday, January 28, President Obama gave his 2014 State of the Union Address to a nation with a steadily decreasing approval rate of the president himself and his actions. His speech was met with the usual mixed feelings from a nation divided by differing political views. However, one group remained pleased as Obama lead off the speech addressing an improvement in education and cited a promise to maintain his goals for education from 2013. While the President did not lay out any new plans for reforming education, he called on state and federal legislators to invest efforts into early childhood education to higher education. 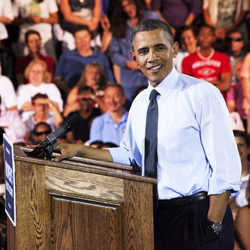 Obama advocated college leaders to seek out ways to push the high cost of tuition rates down. He spoke to issues of the climbing student loan debt and that college should always be viewed as something achievable for those who want it. Past historical examples stress that a strong economy is tied together with quality education. Now, more than ever, there is an importance in investing in early childhood education that strengthens the system and young minds as they grow. As the education system improves, it sends a message of hope that there will be an increase of quality in terms of job prospects and stimulation for the economy. This message of hope comes through advances in higher education as well. Obama did spend the most time on early childhood education, but he also focused on how crucial it is to prepare students with life skills, job training, and allowing students to have the financial means to achieve all of this. He touched on the Common Core State Standards as he called for a more challenging environment and more unique ways to measure a student thought process and how varying learning methods apply. Obama received some criticism over not addressing any efforts to reauthorize the No Child Left Behind Elementary and Secondary Education Act. Mary Ann Sheets of the Elmira Heights Central School District in Elmira, N.Y., spoke to this as she addressed the need for an improvement in education, “as someone who now doubles as the school librarian and English teacher, I think it’s important to call for action for change. School systems are downsizing to cut costs and students are left without a proper ratio of help to improve their learning.” Her views echoed those of many Americans ranging from parents, students, teachers and administrators. As education success rates increase we can only hope that full classrooms and school districts can be restored to their full potential.